SAFE provides a wide variety of safeguarding related courses for staff engaged with children and young people in schools, academies and colleges.And with our experienced trainers - all selected for their professional multi-agency backgrounds as social workers, head teachers, police officers and Ofsted inspectors involved with safeguarding, we are able to bring a wealth of experience that our clients and partners can capitalise on. Our training courses can be delivered at your own venue or at our training suite in Eye, Suffolk. Target group: This half-day or after school course is a “must” for all those who work or volunteer directly with children, young people, and/or their families. It is carefully designed to ensure your staff know everything they need to from having a concern, confidentiality, recording and referring to your senior leads for safeguarding. It complies with the latest staff training standards for Ofsted. All participants receive a comprehensive training pack and SAFE Certificate, valid for 3 years. 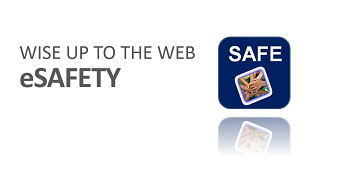 Keeping safe on-line is the latest emerging risk that young people have to manage when using new technology. Increasingly, adults are concerned about how to keep young people safe online. SAFE's CEOP Ambassadors deliver this course and participants can then access the excellent CEOP resources available for working with children and young people aged 5-16 years. The course can be delivered either during school training days or during an evening after school. Please note: There is no charge for this training at public locations on scheduled dates, however if you wish to make a donation towards SAFE's Community Objectives, this would be most welcome. This course is specifically developed for the senior designated lead in educational settings and is compliant with the latest legislation and government guidance. 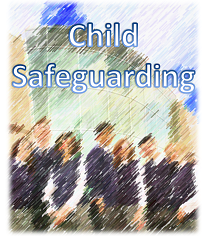 The course covers the key aspects of managing safeguarding arrangements including child protection and other vital policies, identifying concerns and making referrals, handling allegations and complaints and elements of eSafety. 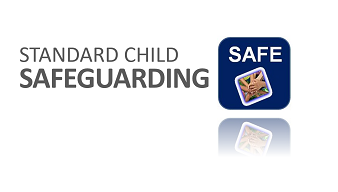 * Completion of the SAFE CIC Standard Child Safeguarding course (or equivalent) is a pre-requisite or can be added as a combined course at the end of the half day face to face Standard Child Safeguarding course. The session adds around 2 hours to the standard course. This course is designed for all those who work or volunteer directly with disabled children, young people or their families. NSPCC research tells us that children and young people with a disability are 3.4 times more likely to be abused than those without a disability. Therefore, it is critical for all those who work with disabled children and young people to be vigilant and aware of relevant safeguarding issues. Please contact the SAFE team on 01379-871091 with your requirements and to obtain a quotation.